Taberna del Alabardero has been a favorite destination of mine since working in the Aviation and Aerospace industry back in the 90’s. 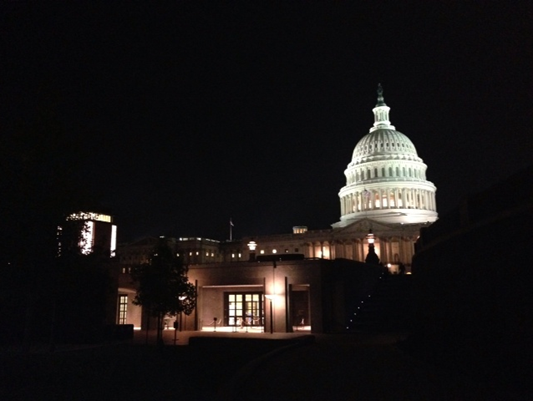 As the point person for staging small yet high-level events, I arranged several dinners in their beautiful private dining rooms a few blocks from the White House. These were exquisitely prepared meals that showcased regionally authentic dishes. Seafood paellas, slow-braised oxtail and roast suckling pig, a specialty of Segovia, can still be found on the menu. 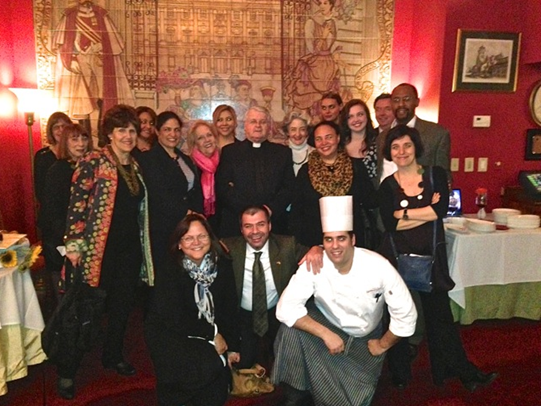 On a few evenings our guests were honored with an appearance by His Excellency, the Spanish Ambassador. Have I mentioned the impeccable service? It’s like dining in a luxury hotel in Europe in decades past or a favorite café where you know everyone at the bar. In summer, tables are set up along the street and sharing tapas and pintxos, letting paper-thin slices of jamon de Iberico melt in your mouth, and downing pitchers of Sangria flavored with summer fruits can be just as pleasing. 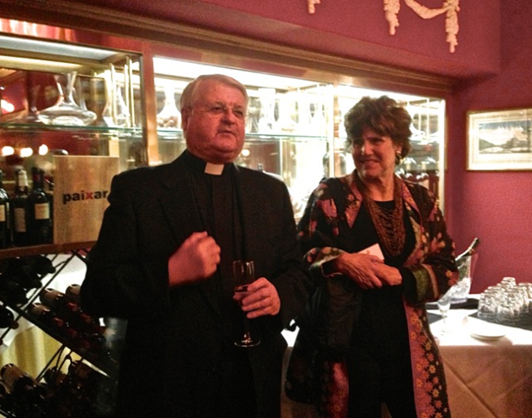 Now in its 25th year founder Father Luis de Lezama, the man responsible for bringing the restaurant to Washington, DC, came to town to celebrate and to tell the story of the restaurant that almost didn’t open. It was the 1980’s when de Lezama arrived in Washington looking for the perfect location to launch his restaurant. He had a vision to educate young men from impoverished families in Spain by teaching them the culinary arts. The priest was sent under the auspices and goodwill of the Spanish Government who seemed eager to underwrite his “American adventure”. After securing the lease on a location on 18th Street, the National Bank of Spain, who had promised to underwrite the plan, backed out leaving de Lezama to fend for himself and somehow find new funds to bankroll his vision. With little money, a high-rent lease to cover and dozens of eager trainees awaiting their journey and jobs in America, he was forced to eat dollar meals in a nearby shelter while pondering his fate from a cheap room at the YMCA. Fifteen years earlier he had successfully opened the first Taberna del Alabardero in Madrid and the training school he had dreamed of was going strong. But now he was faced with more than just an embarrassment. It would be a devastating blow to the students. He decided to present his dilemma to the building’s landlord, Oliver Carr. Carr liked the idea immediately, backing the restaurant project and assuring the future for the young men back in Spain. Today the business group that de Lezama conceived has more than 700 employees, a foundation, three catering schools and renowned restaurants in Madrid, Marbella, Seville, and Washington, DC. Taberna hosts monthly wine dinners and special tastings, and has recently announced new catering services. Visit http://www.alabardero.com. For international chef and restaurateur, Richard Sandoval, opening a fine dining establishment in DC was something he’d long planned to accomplish. 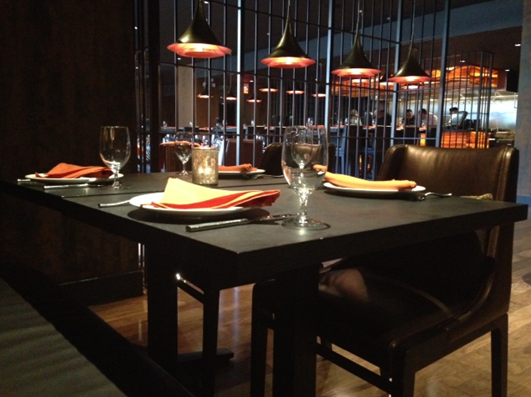 Last month he opened the sleek, chic Toro Toro. 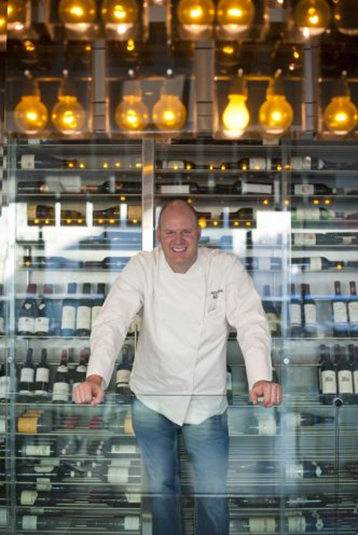 His DC area restaurants now total five along with Ambar, El Centro, Masa 14 and Zengo, plus the nearby, La Sandia in Tyson’s Corner – – bringing his worldwide empire to 31 restaurants with such far-flung outposts as Dubai, Serbia, Qatar and Mexico. I have now enjoyed Toro Toro on two separate occasions. 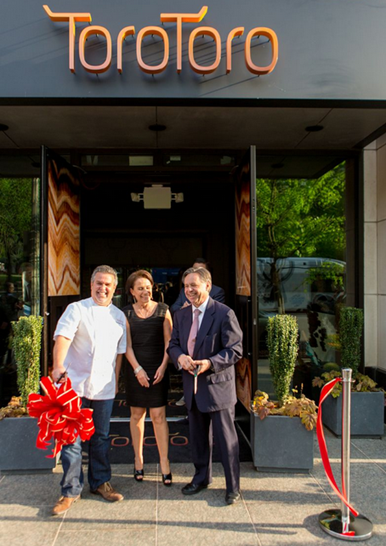 My first experience was last month the day after they began service with a soft opening, and again when His Excellency Eduardo Medina-Mora, Ambassador from Mexico, was present for the ribbon cutting a few weeks later. 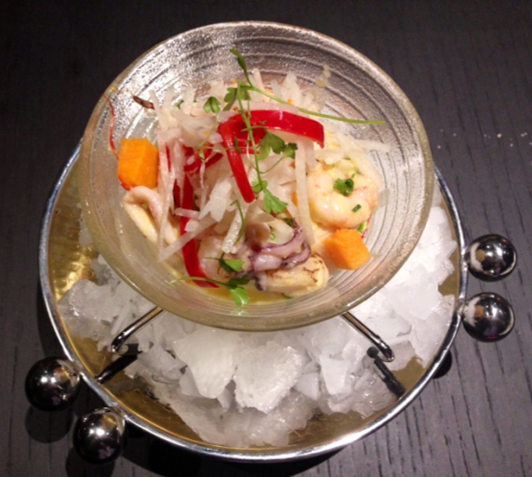 I have always found Sandoval’s dishes to be exotic combinations of Latin-Pan Asian flavors. His deft hand shows a beautifully balanced command of complex and intriguing spices. And I must confess I have a soft spot for the seafood seviches served in his other restaurants. But Toro Toro takes its cue from Brazilian churrasco, and I was disappointed by the inconsistency of the flame-cooked meats. We went for “The Rodizio Experience”, a menu selection that must be ordered by the entire table. 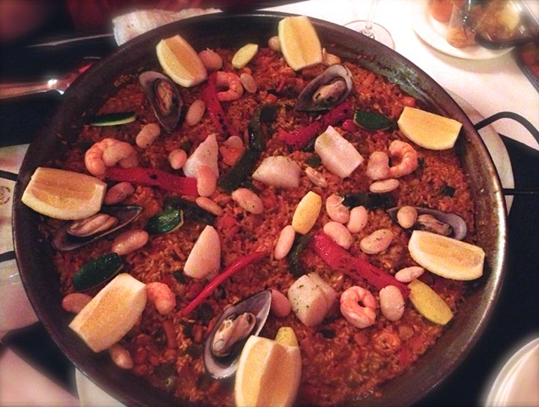 It includes all you can eat of five cuts of meat, plus chorizo sausage and prawns. Though the chorizo and filet were blameless, the steaks, chicken and lamb chops had suffered mightily from under- or over-cooking. Some were so rare they resisted cutting. A rare filet is a godsend, but a too-rare lamb chop that necessitates using a seesaw slicing motion to dislodge a morsel, is not eater friendly. And, alas, some of the meats were flat out overdone. Clearly the kitchen needs practice with its new equipment. And perhaps it was entirely unfair of me to have gone in so soon. (A few weeks later Sandoval told me they were having trouble getting the flame-broiler adjusted.) However there are other churrascarias in town that have this meat-on-a-sword thing down pat and Toro Toro’s kitchen will have to step up their game to compete. As expected both seviches were carefully prepared, though the Seared Seafood Seviche, a concoction of prawns, calamari, scallops, ginger, leche de tigre and aji amarillo, was an appetizer that soared, as did theCachapas, duck carnitas on corn pancakes with Oaxaca cheese and tomato jam. Simple but perfect. Having just watched Anthony Bourdain’s Oaxacan food adventure on CNN’s “Parts Unknown”, I’d give my eyeteeth to experience more of this ancient and complex cuisine. In addition to founding Bethesda Central Farm Market and Pike Central Farm Market in Rockville, pioneer, innovator and co-founder of MeatCrafters, Mitch Berliner, has branched out into Virginia territory with the help of wife, Debra Moser, opening a third market in Fairfax’s new Mosaic District. 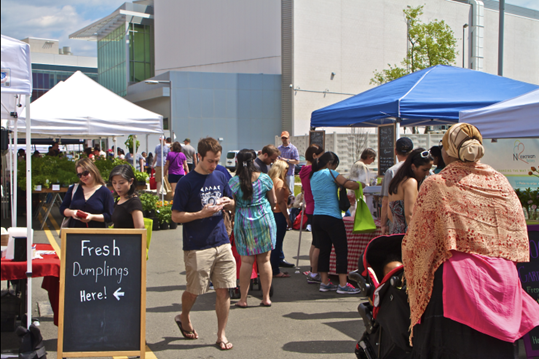 The Sunday morning market features over 30 farmers and artisanal food products and will be open until October. Each week a “Cook’s Corner” will feature local chefs who will demonstrate how to use some of the fresh fruits and veggies sold at the market. A series of cooking classes are also offered at $25.00 p.p. with all proceeds going to Manna Food Center. 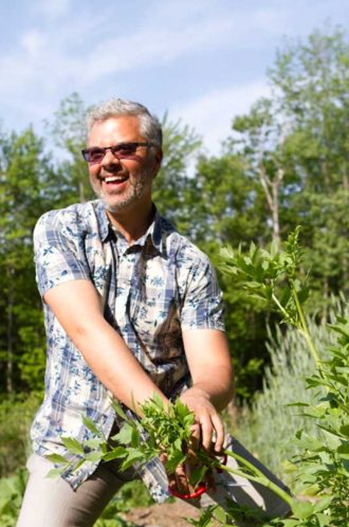 On June 7th Chef Lynn Foster will teach students how to prepare Chilled Asparagus Soup with Pea Shoot Garnish, Crispy Buffalo Chicken Salad with Baby Greens Slaw, Hoppin’ John Salad and Fresh Berries with Balsamic Sabayon. Students will enjoy eating all of these delicious dishes. Foster, who was the chef/owner of Garrett Park Café for twelve years, has worked at the Tabard Inn, Great Sage and Laboratorio at Galileo with Roberto Donna. She has taught at L’Academie de Cuisine, Williams Sonoma and Sur La Table, and is currently a partner at Alchemy Caterers with Top Chef alum and co-host onABC’s The Chew, Carla Hall. Sign up at www.centralfarmmarkets.com where you’ll also find a list of vendors and farmers. Anyone can twist my arm to visit the National Gallery of Art where I like to luxuriate beside the Garden Café’s fountain indulging in second helpings of Coq au Vin, Camembert and Chocolate Mousse. With thoughts of Degas and Cassatt whirling in my head, the buffet is even more appealing now. Michel Richard is the café’s consulting chef this year and who better to design the perfect French dejeuner menu to pair with these two artists’ work? Though both Impressionists shunned the rendering of foodstuffs in favor of horses and ballerinas for him, and women and children for her, it’s because I think of these artists as quintessentially French that I automatically think of food. I’m sure you get my drift. Still I look for the lost lines and the de rigeur painterly red. I scavenge the scumbled backgrounds and the artists’ change of heart in shifting the image’s placement. I look for clues and reasons, choices made and choices denied. While scanning the provenance I take note of the medium employed and listen in to everyone’s comments from docent to tourist. 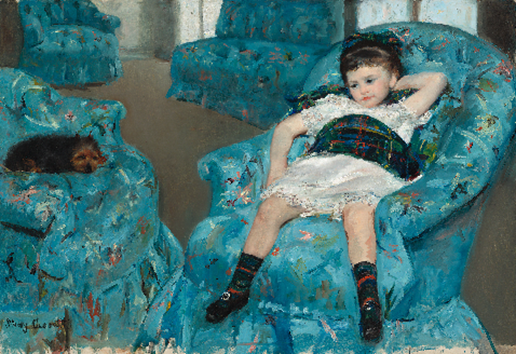 I attempt to put it all in context within the period and the artist’s challenges while I read the panels that tell of Degas’ influence on Cassatt and vice versa. An older man, a younger woman. Platonic, we’re told. Who’s to say? A bottle of Sparkling Burgundy is only $31.50 at the café. You’ll want to ponder these things at your leisure before taking in the evocative Andrew Wyeth exhibition around the corner. 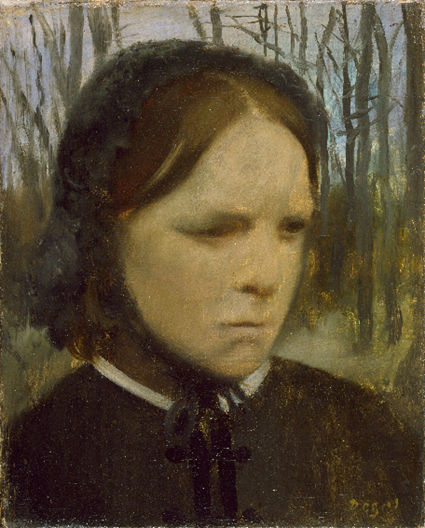 Degas/Cassatt runs through October 5th. Andrew Wyeth: Looking Out, Looking In through November 30th. Visit www.NGA.gov for more information. This weekend The Great Tastes of Tysons will be held at the Lerner Town Square beside the Tysons II Mall from 12pm to 6pm on Saturday and Sunday. More than just a tasting, this tent-covered festival will bring together celebrity chefs, artisanal craftsmen, culinary pioneers, music and family entertainment, as well as international wines and spirits. 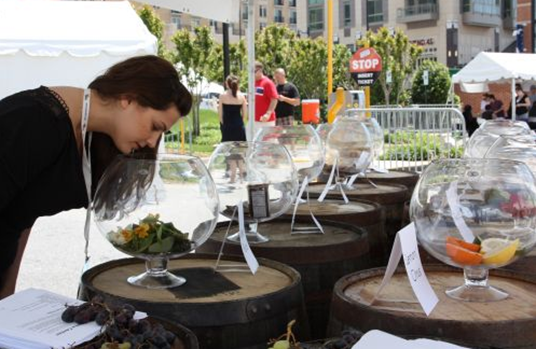 Over 150 wines, spirits and beers will be featured along with local and regional favorites. 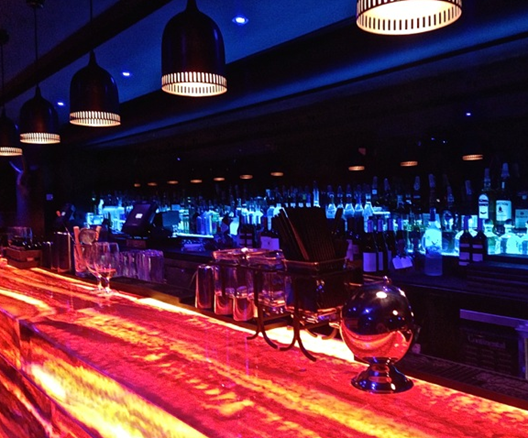 Guests will be able to sample all of the varieties on-site including special gin, scotch and rum tastings. On the Cooking Stage on Saturday look for Todd Gray of Equinox, Bart Vandaele of Belga Café and B Too;Spike Mendelsohn of Good Stuff Eatery and Bearnaise, and Joe Yonan, editor of the Washington Post Food Section. Sunday’s line up of superchefs includes Jonah Kim of Pabu Izakaya, Scott Drewno of The Source by Wolfgang Puck, and Michael Friedman of The Red Hen will be doing demos while Victor Albisu of Del Campo and Taco Bambo will be kick off the grilling South American style. Enjoy a live taping on Saturday at 1pm of the radio show “Foodie and Beast” with hosts Nycci and David Nellis. Headlining the live music are Looking for Lester, Sean Grace, David Back and the Texas Chainsaw Horns. For information visit www.tastetysons.com or call 1-800 830-3976. 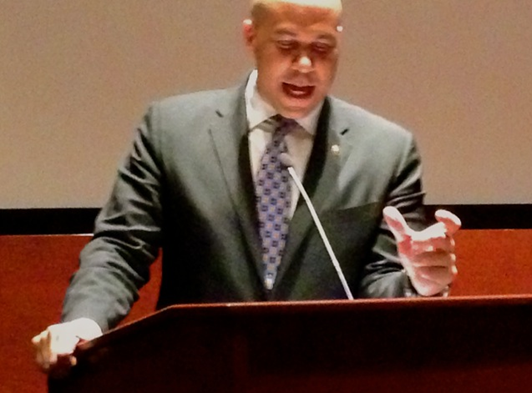 The press screening for the new movie Fed Up was held in the US Capitol’s Visitor’s Center Theatre and New Jersey Senator Cory Booker was holding forth about the film’s topic – – that too many hidden sources of sugar, in all its deleterious forms, are the cause of obesity in America. While this riveting documentary sets out to prove it with a dazzling array of scientific facts, it’s the story about four obese teens struggling to lose weight that pulls at the heartstrings. It even gets in a little dig at First LadyMichelle Obama for not standing up to the big corporations that sell these foods as school lunches – – something she forcefully addressed this week in a letter to the Washington Post when speaking about the Healthy Hunger-Free Kids Act. 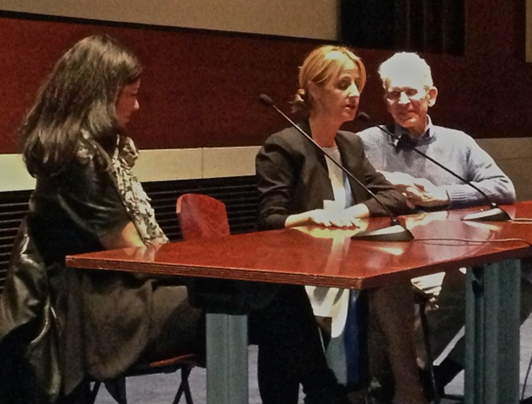 Executive Producer Laurie David (Oscar-winning Producer of An Inconvenient Truth), Director Stephanie Soechtig, and Executive Director Michael Jacobson from the Center for Science in the Public Interest were on hand to hear Booker speak. Co-Producer Katie Couric was not in attendance. Booker spoke passionately about the film. He told the audience how important it was to understand how sugar can affect our health. But why? He admitted he once weighed 300 lbs. There was a gasp. He went on. This was something close to his heart and even closer to his waistline.